Let customers pay for products on your site using their Chase bank information with this functionality. This creates a faster checkout process by storing information from shoppers for future purchases using a secure system. Fast and convenient checkout systems can help boost sales on your e-commerce platform.Allow users to use their Chase account information to check out on your site. This adds an extra level of security and will shorten the checkout process. Let customers pay for products on your site using their Chase bank integration with this functionality. This creates a faster checkout process by storing their information for future purchases using a secure system. This is for E-commerce companies who want to bump up their sales and get more return customers who bank with Chase. E-commerce companies can get more sales when they offer convenient payment options on their website. Return customers appreciate having a secure way to integrate their Chase account. This feature creates a secure way to store Chase bank information from customers during your checkout process. This saves your customers from having to perform tedious tasks like punching in information over and over again. When customers log in after storing their info once, their Chase information will be ready for them when they return. Offer better customer experience to return customers by saving their Chase bank information. You can increase your sales when you make your E-commerce checkout process faster and easier. E-commerce who use this may retain more customers when they offer this convenient checkout option. Integrating with Chase bank in a secure and reliable checkout process saves customers time, which is a good thing because many E-commerce shoppers are impatient. 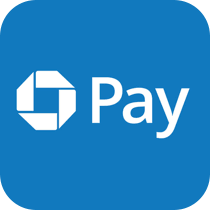 To integrate Chase bank payment method into your E-commerce store, call Optimum7 at 866-848-6072 or contact us online.